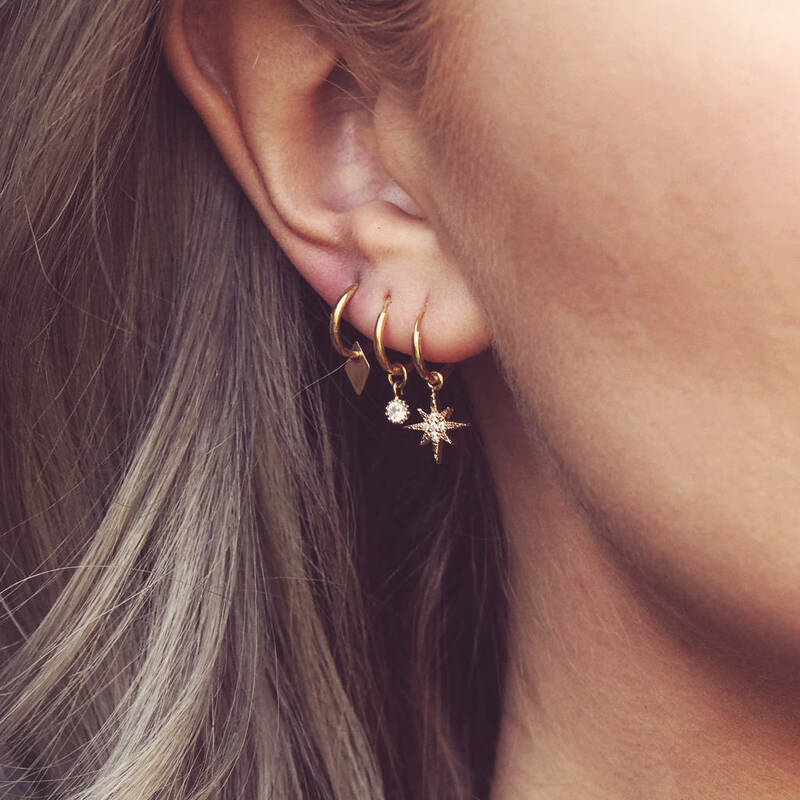 These Margot earrings look totally perfect worn alone or stacked with other hoops. Add on a plain pair of hoops in the drop down menu to layer with your Margot hoops! 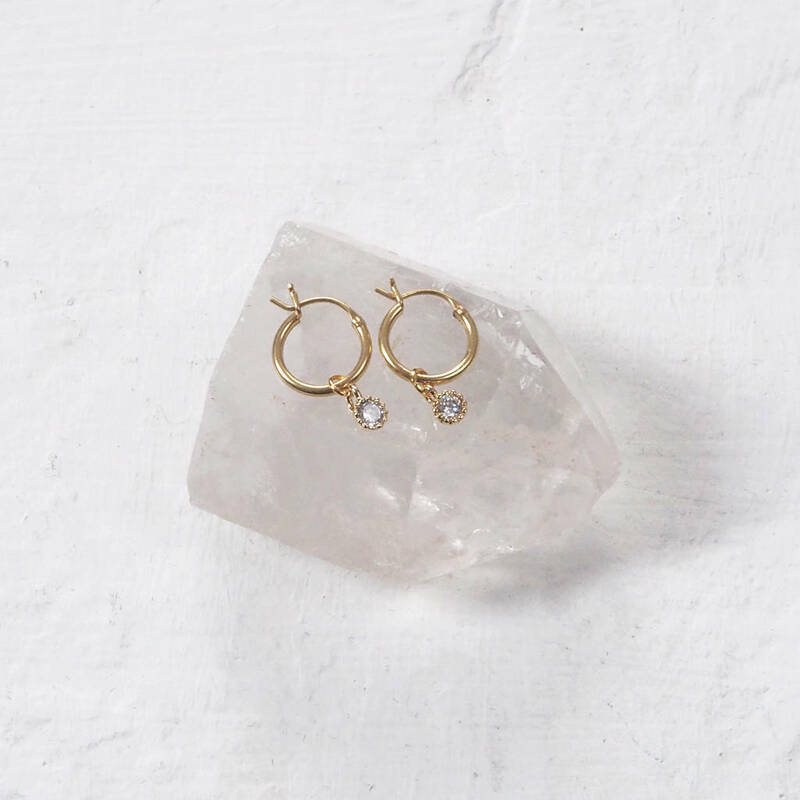 10mm sterling silver gold plated hoops feature gold plated cubic zirconia detailing and a French lock closure. 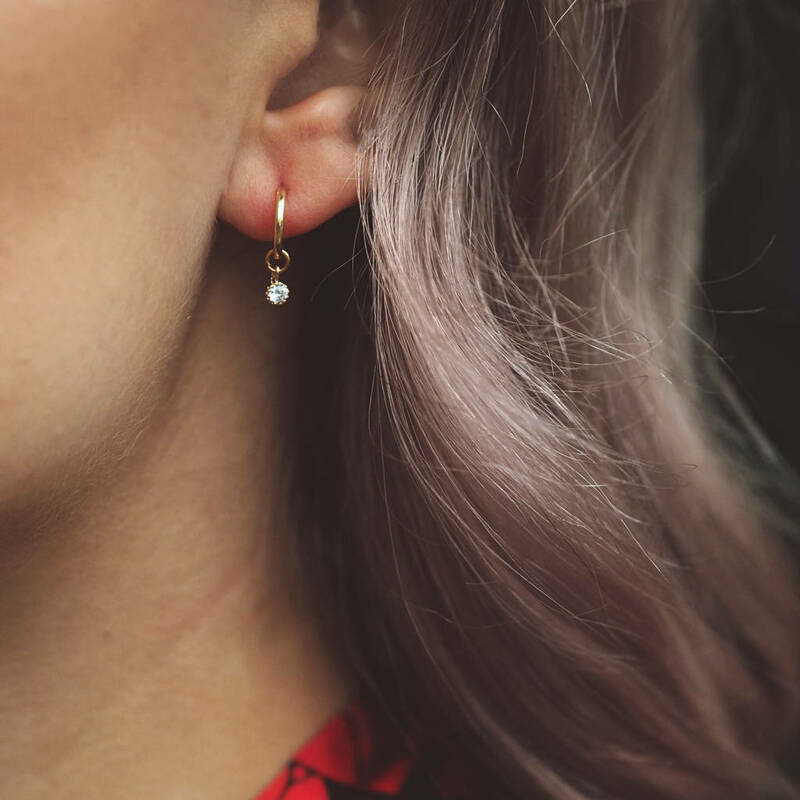 Other earrings shown in the last picture are not included.